In this hour, Molly Ringwald finds herself in the principal’s office with her daughter, a young man navigates life with his single mom, a boy who loves Barbies is terrified at the thought of playing tackle football, and a daughter contemplates how to face her mother’s death with grace. 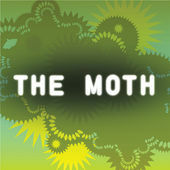 * *The Moth Radio Hour is produced by The Moth and Jay Allison of Atlantic Public Media. Hosted by: Catherine Burns Storytellers: Molly Ringwald, Anthony Griffith, Julian Goldhagen and Kate Tellers Anthony Griffith’s new book, Behind the Laughter: A Comedian’s Tale of Tragedy and Hope, is available now wherever you buy your books.